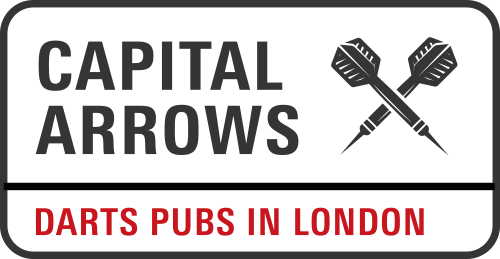 The new Capital Arrows launches today with the news that one in three of London’s pubs have removed their board or disappeared completely in just five years. Darts as a spectator sport is booming in London. The recent Professional Darts Corporation World Championship at Alexandra Palace sold out all 22 sessions – with 3,000 people at each one – 10,000 fans are expected to attend the O2 for the Premier League finals in May, and the British Darts Organisation has recently announced that 2016 will see darts being played at iconic London venues new and old – the Copper Box Arena and Old Billingsgate. 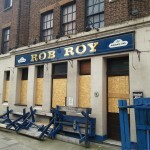 But despite this, darts is floundering in London pubs. Although the new Capital Arrows contains more than 90 darting venues within 2 miles of Charing Cross station, another 50 boozers have been removed since the guide was initially launched earlier this decade. Competitive darts was born in London, with the first ever official darts competition taking place in Wandsworth 90 years ago. Darts was, for many years, a standard feature of boozers in the Capital. But the pub sport has been in decline for many years, and with one central London dart board now disappearing every month, at this rate the game will vanish entirely from London before it celebrates its’ 100th birthday. Last orders for darts in pubs in London has become a reality. Capital Arrows is intended to encourage more people to play darts in the capital, as well as persuade more pubs to retain or put up boards. Every venue is reviewed, rated and mapped, and an advanced search function includes filters by multiple dart boards, functions rooms and league teams. 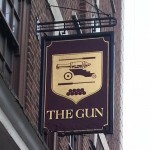 The guide also shows pubs that may be of particular interest to tourists, has a special section for pubs run by the Samuel Smith’s Brewery, and lists some of the remaining East London pubs that use the alternative ‘Fives’ board. Darts superstar Bobby George: “I started out playing in pubs, it’s where players learn to love the game, and many of the BDO players still play for the team at their local. I hope Capital Arrows can help encourage more people to play the sport in pubs – the ‘mother’ of darts. Cheers to darts in pubs: may the darts always be with them”. Sky Sports darts pundit and 5-times PDC World Championship semi-finalist Wayne Mardle: “I played in the London Super League for the best part of a dozen years in some of the most magnificent pubs in the country – flock wall paper, pool table, dartboard and dirty old chalk board to mark on – what more could you possibly want! However, finding a pub in London with a dart board in it can be like my game these days… hit and miss. Every pub should have a dart board, and anything Capital Arrows can do to help is extremely welcome. 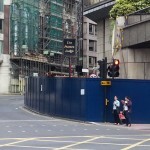 Long may darts continue in London’s pubs”. Tell your real and virtual friends about Capital Arrows. Cardinal, 23 Francis Street SW1P 1DN. Refurbished (beautifully) but with no room for a board. Lord Wolesely, 55 White Lion Street N1 9PP. Refurbished, now part of the Craft Beer Company group. 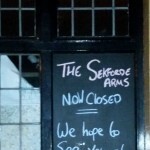 Sekforde Arms, 34 Sekforde Street EC1R 0HA. 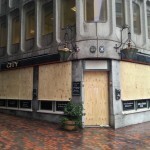 Currently boarded up; expected to become flats. Porters Lodge, 17 Arthur Street EC4R 9BR. Demolished. 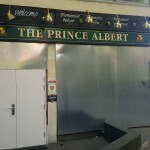 Prince Albert, 76 Colombo Street SE1 8DP. Boarded up and looking ripe for pulling down.